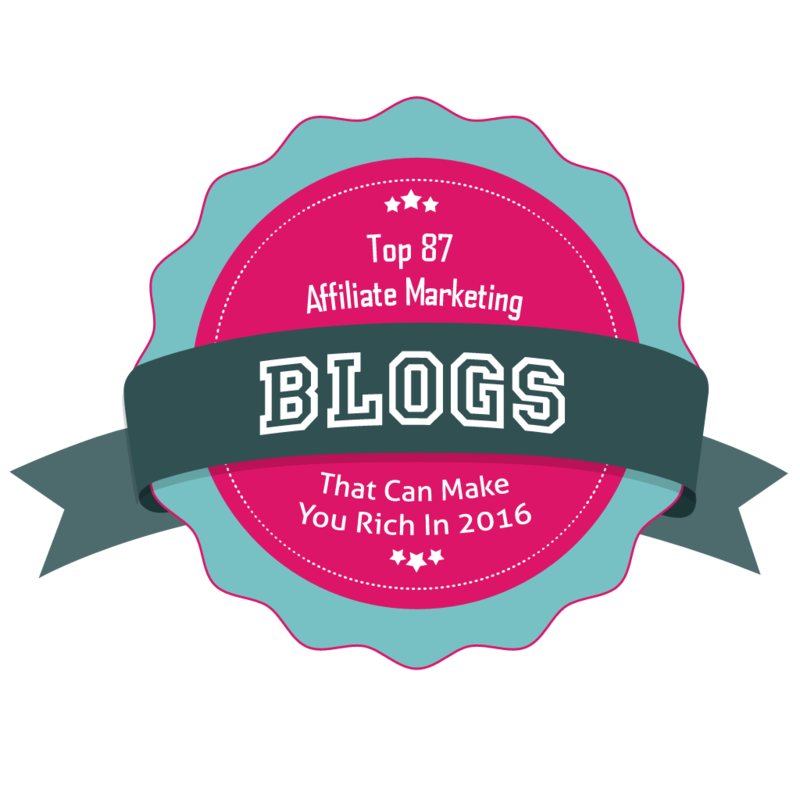 I just made Success Entrepreneur’s list of the Top 87 Affiliate Marketing Blogs and Bloggers That Can Make You Rich, and could not be more excited. If you have any interest in digital marketing as a career path, profession, or source of income, you need to try affiliate marketing. Affiliate marketing teaches you how to be a truly scrappy digital marketer, a marketing entrepreneur on the highest level. As a corporate digital marketing executive with 12+ years experience, I have managed some of Silicon Valley’s largest digital marketing budgets, most advanced teams, and most intricate systems. However, large operations can provide the marketer an incredible safety net. By contrast, most affiliate marketers have very limited budgets (or no budget), very lean teams (just themselves during certain hours of the week and maybe a freelancer or two), and little technology (other than free tools like Google AdWords editor). Without the corporate safety net, you are forced to become the most scrappy marketer around. You are forced to get really clever, efficient, and effective with the cards you are dealt. In some ways, it’s liberating because you can literally test anything and you’re the boss. In other ways, it’s frightening because you’ll either sink or swim, and will likely pivot your strategy a multitude of times before finding success. If you are in the digital marketing profession, consider ditching the corporate safety net in your spare time and trying your hand at affiliate marketing. It will truly transform your entire outlook on digital marketing. If you work at a larger enterprise, initiatives are planned well in advance. While there is some flexibility to test and get creative, you often don’t have freedom to go completely wild (and for good reason). As an affiliate, you can test anything. 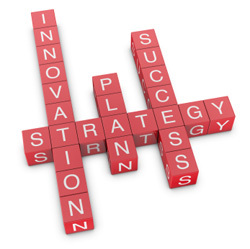 It just so happens that the most wacky ideas often become the most successful strategies. I love affiliate marketing because it has driven my success as a corporate digital marketing leader. Without the multitude of hours invested as an affiliate, I wouldn’t have driven as much success on the corporate level. Affiliate marketing continues to teach me the lessons that propel my career because I bring those lessons to the corporate world. I test on my own time with my own business and only bring the best, winning strategies to corporate. Affiliate marketing is my edge in the corporate world. If you’ve been reading PPC Ian for a while, you probably know that I love saving money and investing for the long run. It also happens that I live in the incredibly expensive San Francisco Bay Area. I personally look at affiliate marketing as an extra source of income, a way of generating savings that can be further invested in my future. I recently wrote a blog post called Your Margin Is Made on the Margin describing the exponential value of each additional dollar saved and invested. Even if you don’t make a lot of money from affiliate marketing, any marginal income generated will truly impact your life from a long term investing standpoint. And, you can work from the comfort of your own home while building skills that directly propel your career. If you have not already tried your hand at affiliate marketing, I hope today’s post encourages you. I want to sincerely thank Khalid from Success Entrepreneur for featuring my blog, it means the world to me. Please check out Khalid’s list and the 86 other successful affiliates. Each one has a unique story and lesson to share. Since today’s Sunday, I’m going to blog about affiliate marketing. Affiliate marketing is what I do on weekends and my limited spare time (via IJL Productions LLC) when I’m not enjoying the corporate world of online marketing. Today, I’m thrilled to share three tips on making your affiliate marketing business legit. I’m talking about getting a private mail box, setting up a toll free number, and forming a corporate entity. Once you have reached a little bit of scale (you’re making a few thousand dollars per year in profit), I would highly recommend making your business legit via these tips. One of the best moves I made for my business is setting up a private mail box at my local UPS store. For only $275 per year (fees are different per UPS Store location), I get my own physical business address. You heard me right! Private mail boxes, unlike PO Boxes, are considered legitimate business addresses. While it’s just a mail box, it’s considered a physical street address. This is super important as every real business needs a physical location (especially if you want to share your address with customers and also set up a corporate entity). PO Boxes (while useful in their own right) just don’t cut it. Your home address won’t cut it because you want to separate your personal life from your business 100%. Private mail boxes are the affordable solution of choice in my opinion (although you may also want to look into renting co-worker space that offers a physical mail address, as that’s getting popular these days too). In addition to being a real address for your business (separate from your residence), private mail boxes provide a number of other benefits. For starters, you can list it as your business address when you purchase domain names. I used to register my domain names privately because I did not want to use my home address. When you own hundreds of domain names, private registration can become quite expensive. I’m saving hundreds per year now that I can list my private mail box as my address. Also, the guys at the UPS store are awesome. They’re open long hours and 6 days/week. They will sign for packages that come in and then hold them for me. I even get an email when a package has arrived. It’s like having my own staff. This tip really goes together with the first one. These days, it’s super affordable to get your own toll free phone number. I’m paying $10 per month for my toll free phone number. There’s a lot of flexibility in how you set it up, but I’ve decided to just have my calls go to voicemail. Then, I have the voicemails delivered to me via email. A lot of the calls that come thru are junk, but some are not. Now, I have a great way for people to contact my business without giving away my personal cell phone or home phone. Of course, you get all of the benefits just mentioned above with the private mail box: separation from your personal life, a number you can list publicly in your domain name registration and on your website, and of course convenience. Tip three is really a continuation of the first two. Now that you have a physical business location and dedicated phone number, you’re ready to completely separate your affiliate marketing business from yourself. Now, it’s time to form a corporate entity. There are many options, but I personally decided to go the LLC route. LLCs are great. They separate my business operations from my personal self. They are relatively affordable (only $800/year fee to own a California LLC and another $100 year to pay for a registered agent service). They are easy when it comes time for taxes (a single member LLC is disregarded as a corporate entity for tax purposes so income flows through to your individual tax return). If my business grows and I hire employees, I’ll need to rethink my strategy. However, from my current vantage point the LLC provides the perfect corporate entity for my situation. After setting up your private mail box, toll free number, and LLC, you’re not quite done. At this time, don’t forget to open a business checking account and credit card in the name of your LLC. Use the tax id of your LLC when opening the accounts up. Leverage your private mail box and your toll free number as your contact info. The key thing to remember: Your business is no longer part of your self. It’s separate entity so it’s time to make it legit and go all out with this process. Once your business is fully separate from yourself, you have opened up an exciting world of possibilities. You’re now ready to embark on your next round of growth and hit the big leagues of super affiliates! Disclaimer: I’m not a lawyer nor tax advisor, before forming a corporate entity always make sure to consult with your own legal/tax counsel. The information I provide here is just my personal experience and is not legal nor tax advice. For the vast majority of my time, I’m a corporate online marketing executive. It’s a demanding (and rewarding) full time job. I love it! You can read about my corporate aspirations in my 2011 goals. However, in my online marketing journey, I quickly learned that my corporate edge would come from strategic side endeavors. In short, I decided to teach myself SEO, social media, blogging, email marketing, and other online marketing channels from an affiliate’s perspective. After all, if you can make it big as an affiliate, you truly know your stuff. Not only would this journey make me a better corporate online marketer (I could leverage my affiliate insights in my corporate job) but I would build up a nice side business, one that truly helped others and threw off passive affiliate income. 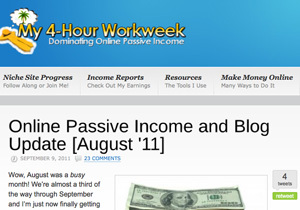 (You can learn more about my thoughts on passive income from my Internet Marketing Money Map.) That was 4 years ago in October, 2007. Today, I’m thrilled to share with you my brand new IJL Productions LLC website. I just launched this website last night to represent IJL Productions LLC, my company and home to 120+ amazing online brands that dazzle users. I highly encourage checking it out! I get a lot of questions about my side business, how I make money online, and what I do. I first acquired IJL.net (I bought it on Sedo) a while back and threw up a quick website. Now, I’m thrilled to relaunch with a slick website that really represents my brand quite well, making it crystal clear what I do. Learn all about what I do when I’m not working in the corporate world or blogging. I also want to take this moment to sincerely thank my strategic partners and of course visitors. I have very little time to invest in IJL Productions but have built some amazing momentum (I now own over 120 active web properties that drive 200,000 page views per month). How? It’s all about leverage, focus, prioritization, and choosing my partners wisely. I sincerely thank my amazing wife, Nicole, the Unique Blog Designs team, my buddy Morgan Linton from Linton Investments, the entire Epik team (especially CEO Rob Monster), and everyone else who was involved. You have made all the difference. More than anything, I want to thank everyone who has visited my websites, especially PPC Ian. You rock! Check out my new IJL Productions website today. Many affiliate marketers are facing headwinds in 2011. Strategies that once worked in prior years, especially the hard sale, are not working as well anymore. However, I’m here to say that affiliate marketing works, perhaps better than ever. Case in point: I earned nearly five grand on EPN in 3 months in my limited spare time above and beyond the income from my demanding full time job. 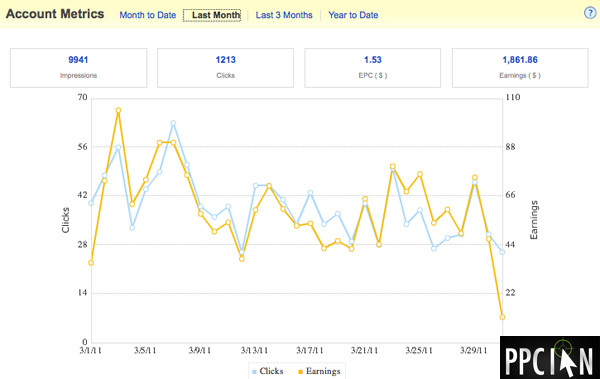 Since I wrote that post, my overall EPN and affiliate marketing earnings in general continue to thrive and grow. I’m not the only one. There’s a new class of affiliates and today I want to share an affiliate marketing strategy that works in 2011, via case study. In particular, I’m going to highlight a personal experience I had with my friend Eric’s blog, My 4 Hour Workweek. After reading this post, I encourage you to sign up for a leading affiliate network such as EWA Private Network (they’re accepting 10 new affiliates right now) and then get out there and employ this strategy! So What’s This Affiliate Strategy? The strategy is quite simple in theory, but difficult in execution. It’s all about establishing an honest voice with your readers, making it very clear that you earn an affiliate commission when they purchase via one of your links, but offing such an overwhelming amount of value that users make a conscious effort to buy via your link. How do you do this? Very, very hard work and an amazing level of transparency with your readers. You can’t leave an ounce of doubt in anyone’s mind. You need to exclusively recommend products you personally use and prove over and over why the product is working for you. You need to go well above and beyond to provide tremendous free value. You need to avoid mistakes (such as the hard sale) at all costs. Once you’ve done that, your readers will feel an emotional tie to purchase via your link. They’ll owe it to you! Let’s take an example. My friend Eric from My 4 Hour Workweek promotes this awesome peer to peer lending network called Lending Club. Each month, Eric publishes an income report that highlights his sources of online income and passive income, including Lending Club (check out his August report for an example). 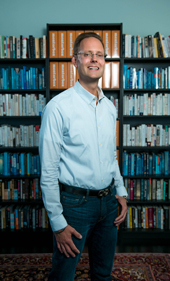 I’m honestly addicted to Eric’s blog because of his level of transparency, honesty, and value. My favorite posts are his income updates. As a reader, Eric has established a personal connection with me. So, I had been meaning to sign up for Lending Club for quite some time. Not only because of Eric’s blog, but also because my former boss is the CMO there and I’ve read an amazing amount of good stuff about the network as a source of diversification and passive income. I’m a busy guy (it’s hard to find even a half hour to sign up for something like this) and I’m all about efficiency. As such, when I finally had some free time to sign up for Lending Club, I could have just gone directly to their site. Or, I could have searched the Internet for special offers and coupon codes in an attempt to get some kind of freebie. However, none of this even crossed my mind. I quickly remembered how much value Eric’s blog provides and my decision was simple: Sign up via Eric’s affiliate link! I even went as far as commentating on Eric’s blog to let him know I used his affiliate link. Now, that’s an affiliate marketing strategy that works. If you’re trying to make money online in 2011, I highly recommend a similar approach. It truly works and it’s also how I make money online. While I first started developing my own websites for profit in 2007, I got my first taste of buying existing websites in June of 2008. Back in those days, before Flippa existed, BuySellWebsite.com was the place to buy and sell established websites. In June of 2008, I ended up buying a nice little AdSense website for $2,500 (plus a $20 wire fee and a $81.25 Escrow.com fee) for a total of $2,601.25. Just a few years later, that website has yielded $3,825.40 in AdSense earnings alone (I also received extra earnings from direct advertisements). On AdSense alone, that’s a yield of 147%. Since then, I’ve made building websites and also buying established websites a huge part of my passive income plan. I’m here to say first hand that buying established websites is a great way to make money online! Of course, selling websites (for more than you paid) is also a great way to make money, but I’m more of a cash flow kind of guy so I’m holding my websites for the long haul. Thankfully, these days it’s a lot easier to buy and sell websites for profit. There’s a new marketplace called Flippa that makes the process far easier than when I started back in 2008. It’s my firm belief that anyone reading my blog can make thousands, like I have, buying and selling websites. That said, the marketplace is also more competitive now so you really need to know what you’re doing. Don’t worry! There’s a brand new 147 page eBook that guides you through the process step-by-step. I’m talking about Zac Johnson’s Flip This Website. Have you heard of Zac Johnson? 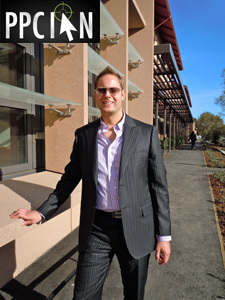 He’s a super affiliate and owns one of the top affiliate marketing blogs on the Internet. Over the years, Zac has literally earned a fortune with affiliate marketing. I regularly frequent his blog and have a ton of respect for Zac. It’s for this reason that I knew Zac’s eBook would totally rock. I personally purchased Zac’s eBook (screenshot at the end of this post showing my ClickBank receipt) and couldn’t be more pleased with my purchase. For only $33.49 (temporarily on sale from $67), I’m armed with 147 pages of amazing information, from the king of Flippa. Moreover, I’ve got 6 bonus videos at my fingertips too. After reading Zac’s book, I’m now ready to buy more websites in 2011-2012 than ever before. Web development takes a ton of work, I’m ready to scale my SEO affiliate earnings quicker than ever before with my new Flippa tips and strategies. If you’re serious about Internet marketing (whether you have a corporate job like me or are a full time affiliate marketer), Zac Johnson’s Flippa Guide is a true must have. At only $33.49, you are getting an invaluable education for next to nothing (I’m surprised it’s on sale for this price). Now, here’s where things get interesting! This just wouldn’t be PPC Ian if I didn’t reward you guys. Remember when I promoted Keyword Winner and ran a Keyword Winner Contest where I reviewed the blogs of PPC Ian readers who purchased via my link? (By the way, you can see here the Keyword Winner Contest Winners.) Well, I’m at it again! 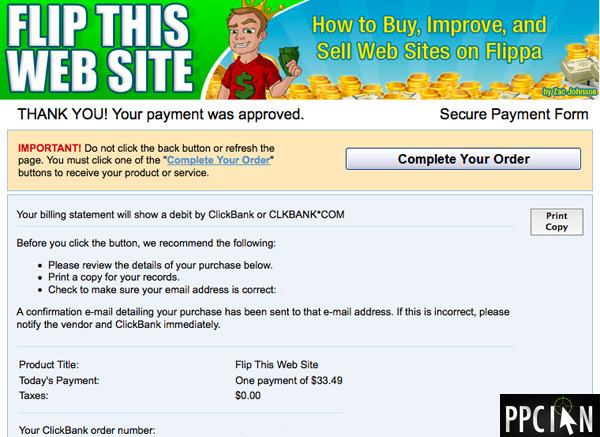 Buy Flip This Web Site via my affiliate link and I will feature your website or blog right here on PPC Ian. I will write a few sentences about your blog or website and also provide a link to you as well. All you have to do is purchase Zac’s guide via my link before July 31st! I’ll be featuring the winners in early August. In my opinion, the $33.49 is worth it just to get featured here on PPC Ian, a leading online marketing blog that gets over 1,000 visitors/day. It’s just my way of rewarding PPC Ian readers (I truly can’t thank you all enough) while spreading the word about a product I truly believe in. After you purchase Zac’s eBook via my link, simply email me your ClickBank order number and website or blog you’d like reviewed (family friendly sites only). Just a few weeks back, I wrote a post about how I Got 1,242 Facebook Fans for Only $347.70. The post became really popular, got some great comments (thank you to all who commented), and inspired me to push my campaign even further, much further! Today, I’m thrilled to announce that I drove a total of 3,156 likes! (This is not the PPC Ian Facebook Fan Page, but is a Fan Page for another one of my authority sites.) Out of my 3,156 likes, 2,938 are from my paid campaign. Since I paid $965.42, but got a $50 coupon thanks to my wife, I ended paying $915.42 or $0.31 per paid like. Not bad, and very consistent with my results last time. Today, I wanted to close out my test by sharing a few thoughts (while hopefully inspiring you to run your own Facebook paid like campaign)! Paid likes are some of the highest quality Facebook Fans around! Just check out the image above. Over the past week, there have been 75 wall posts or comments. The majority of these have been fans commenting on my wall posts, fans posting their own questions, or fans liking wall posts. For only $915.42, I created a vibrant community that is sharing my content and driving traffic to my site. Paid likes are of really high quality (just like paid search traffic from search engines). I’m viewing social media, especially Facebook, in a new light. I’m a paid search guy and am used to paying per click as I go. Facebook is the same thing, but you pay first! Think of it this way: You pay/invest a lot of money, drive paid likes, leverage those likes to drive interaction on your page, and then get visits from your fans over time. It’s estimated that Each Facebook Fan Will Drive 20 Visits To Your Website. $0.31 (my price per fan) for 20 visits is really great, that’s only $0.016 per visit (certainly cheaper than AdWords or adCenter). Even better, this doesn’t even take into account the branding and SEO advantages of having a vibrant social media program. Looking at things in this light puts a whole new spin on Facebook and is a great way to pitch the idea of increased social media budget to your organization. When you open a new Facebook Ads account, Facebook will throttle you. In my last post, I mentioned how my impressions were throttled and then I got a surge of traffic all of the sudden at the end of the test. I originally thought this was due to Facebook fighting ad fatigue and evening the impressions over time. I was wrong. It’s because Facebook put a $50/day budget limit on my account but then lifted the limit to $200 once a number of successful credit card charges went through. Just something to be aware of when you open a new account. If you drive enough likes, you can create a self-sustaining community on Facebook. My interaction with my Fan Page in this case study has not been very extensive at all. Fans have actually been asking other fans questions. The community is vibrant and self-sustaining to a degree which is super cool! I just need to keep an eye out for community members posting their own links. I’ve had to remove a few, but other than that the comments and interaction has been super genuine. Of course, I do expect this interaction to decline over time as the hype and freshness of my page wears off. It will be at that point that I jump in with some clever ideas and/or run another like campaign. So there you have it! Now, my campaign is paused as I didn’t want to go over $1,000 total media spend for this initial test. What are your thoughts on paid Facebook like campaigns? At $0.31/fan, should I keep running this program until the price per fan starts going up? I’m certainly tempted! I’m a huge fan of Facebook advertising, especially when my goal is driving fans. I currently have three Facebook Fan Pages: my PPC Ian Fan Page (please like me, I would truly appreciate it) and two others for my top two authority sites. The main goal of my Facebook Fan Page strategy? Drive repeat visitors to my sites, communicate with my top visitors (people who can be evangelists for my brands), and of course create SEO value (social media is driving SEO and will only continue to do so more, in my opinion). I’ve had a lot of success with my newest Facebook Fan Page. I basically went from 0 fans to 1,242 in less than a week for only $347.70. That’s only $0.28 per fan! (Make sure to check out the screenshot from my Facebook account at the bottom of this post.) These are real fans, fans who are interacting with my page, fans who are helping me build my business. I feel that this point is absolutely critical because I can get 1,242 fans for cheap on Fiverr but those wouldn’t be real, quality fans the way you can drive with a paid campaign. Today I’m excited to share my strategy! First and foremost, it always pays to have a coupon. My wife found one for me in the recent issue of Entrepreneur Magazine. I put it to good use immediately and this lowered the cost basis of my campaign. If you don’t have a Facebook advertising account yet, make sure to leverage this coupon or another one when you open your new account. Even if you don’t have money to spend on your Facebook Fan Page, at least the coupon will give you $50 in free spend. I’m sure you’ve heard this hundreds of times, but I truly can’t underscore the importance of testing creative (both text and images). Just check out the screenshot below. The second ad is the clear winner with a CTR of 0.217%. The other ads have CTRs of 0.126% and 0.080%. What’s really crazy here is I didn’t vary my text too much. I already have a winning model that starts with "Poll" and then asks a simple question. If the answer is "yes", I ask the user to click "Like". This copy has worked really well and I encourage you to try it out. Amongst the three ads, I really did vary the images. The winning image actually surprised me, it’s hard to predict the winner so I always recommend testing! I put a budget of $250/day on this campaign from the start. It made perfect sense, I was targeting a huge audience of around 300,000 reach. However, Facebook really surprised me this time! It seems that they throttled my campaign. Despite having a good CTR and low CPC, I didn’t hit my daily budget. The frequency is lower than I’ve seen in the past and it took many days (almost a week) to hit just half of my target audience. I almost prefer it this way. I was able to run my campaign for about a week and I’m seeing no signs of burnout yet! I’m still running it now and perhaps the Facebook Ads team is working on the burnout problem. The moral here: We don’t appear to be in a churn and burn environment right now. 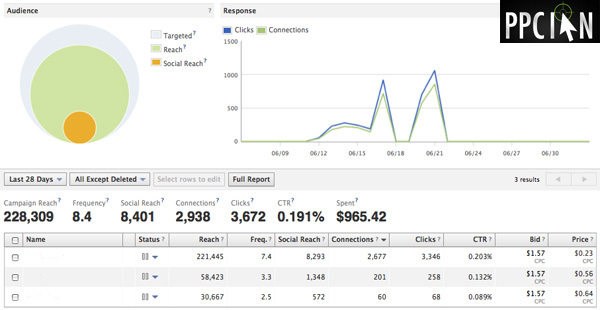 I used to run Facebook campaigns that would experience ad fatigue within 24-48 hours. I’m not seeing that with my most recent campaign and recommend stretching your time horizon out a bit. Over the last year or so, I’ve run a multitude of Facebook "Like" campaigns (paid campaigns with the goal of driving likes). I’ve seen truly varied results. Some verticals, despite my best efforts, come in at a lofty $5/like. In a more typical situation, I have seen likes between $1 and $2 each. For the reasons outlined in the introduction, I can’t imagine running an authority site without at least a few hundred real, dedicated likes so I’m happy to pay the price even if it is in the $1-$2/like range. I’m truly thrilled with this campaign, however, because I’m coming in at $0.28 per like. I spent $397.70 so far, but I got that great $50 coupon so I actually only spent $347.70. $347.70 divided by 1,242 fans is a sweet $0.28 per fan. Knowing how well my website converts and the value of these fans, I will keep running this campaign until it experiences fatigue. I expect that to happen after I hit 2,000 fans since at that point I will have hit the majority of my target audience and the ad frequency should get up to the 10+ range. I truly hope this helps you out not only with the strategy but also with some numbers so you know what to expect. Want to learn more about driving fans on Facebook? I highly recommend my post about Three Ways To Drive More Facebook Fans. Also, Acquisio’s free Facebook Webinar is truly awesome. What has been your experience? Anyone driven fans via paid Facebook campaigns for less than $0.28/fan? In the last three months (February – May), I earned $4,874.26 on the eBay Partner Network (EPN). That’s an average of about $52.98 per day of pure margin SEO income (no media costs attached). Considering I hold a demanding full time job (that I love) and that the time I invest in my eBay Partner Network websites is low (maybe 1 hour/week on average), I couldn’t be more thrilled with the results. Since my prior posts about my EPN earnings have been so popular (Scoring Record EPN Earnings and My EPN Earnings Rock), I thought I’d do another eBay post today to share my success and a few tips so you too can build your own passive income stream while driving substantial user value. When you’re done reading my tips, make sure to check out the screen shot at the bottom of this post that highlights my earnings! By focusing on one site, I was able to build a ton of quality traffic within a particular niche, thus having the ability to send eBay lots of qualified visitors. I have found that the large scale approach (when combined with quality) works really well! So, if you’re thinking about going the multi-site route versus the authority site route, I’d highly recommend going with an authority site. You’d be surprised! I don’t have a ton of links to eBay on my authority website. I almost make my visitors look for them. This is really important. eBay is measuring results (in the form of account sign-ups and also winning bids) and will pay you higher EPCs if you drive higher quality traffic. In fact, they tend to over-reward their highest quality sources of traffic. (Side note: You can learn more about this in my review of eBay’s Quality Click Pricing.) For this very reason, it’s of paramount importance you don’t go overboard and you only send quality traffic. My personal approach has involved extremely long, complex, passionate articles that truly help users with maybe one link to eBay. I could send probably 5 times as much traffic to eBay as I am now, but I don’t want to compromise the quality because then my EPCs would plummet. eBay offers a ton of complex ways to link to them. They offer widgets, the ability to embed eBay results right on your website, and all sorts of options. When it comes to SEO, my strategy is one of keeping it very simple. As such, the majority of my eBay links are text links. Of course, I sprinkle in a few widgets too, but those represent the minority of my EPN clicks. My advice is to not overlook the simple, text link strategy because it works really well with Tip 2 (keeping your traffic quality high). I hope these tips help you out! I’m super thrilled with my eBay results because of the passive income, but more importantly because I’m learning. I’m learning new skills that help my corporate online marketing career while having fun and making some extra income! Hey everyone! Just wanted to write a quick post today about my record eBay Partner Network (EPN) earnings for March. I hope this post encourages you to continue working hard towards your own affiliate marketing goals, while seriously considering eBay Partner Network as a great affiliate program. 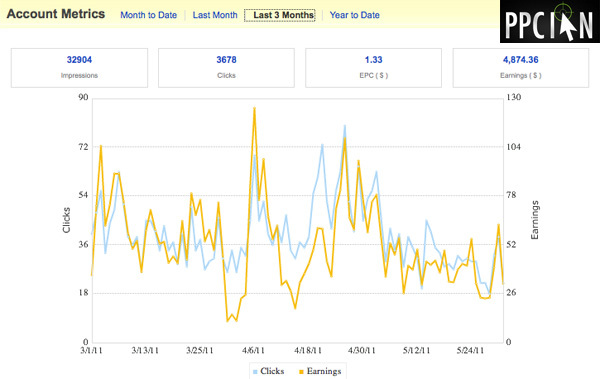 You may recall that my eBay Partner Network earnings have been volatile in 2010. After some of the volatility ended, my EPN earnings started to rock. In late 2010, I did really well as I received big bonuses from eBay due to my year over year growth (didn’t blog about the bonuses). In March, 2011 (see screenshot below) I’m thrilled to announce that my EPN earnings came in at $1,861.86. That’s my best non-bonused month ever! I wanted to write this post for two main reasons. First and foremost, I wanted to show that someone with a full time, demanding job can still do really well in affiliate marketing. I work super hard in my full time job (and I love it! ), but have also been able to build up a really sweet affiliate marketing business. I earn monthly passive income from EPN and also other affiliate programs such as Google AdSense, Commission Junction, Amazon Associates, ClickBank, and others. The skills I learned have even helped accelerate my corporate online marketing career since I have more value to add. 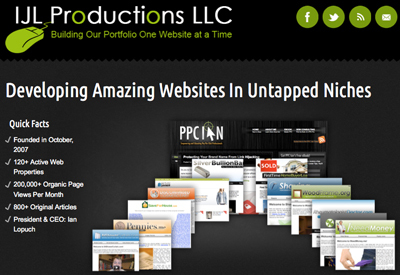 My strategy: Build great websites with great information that offer significant value to the user. I now own 100+ active web businesses. The money did not come easily, but now I’m receiving a good deal of free SEO traffic. My EPN earnings have basically zero cost attached to them so they’re pure margin. My advice: Stick with affiliate marketing. Even if you have a full time job, you can invest a few hours each week for a few years (I’ve been in the affiliate marketing game since 2007) and then you’ll hit gold in the long run. Second, I wanted to highlight EPN as a great affiliate network. eBay Partner Network can be volatile (just look at March 31 in the graph below and you can see that my CPC tanked on the last day of the month) but my results have been super overall and I couldn’t be happier. My strategy: Focus on niches you’re passionate about, and review and recommend products and sellers on eBay that you’re personally passionate about. Better yet, review products and sellers you’ve personally done business with! Once you build that bond with you users, the quality of clicks you send eBay will be tremendous and then eBay’s quality click pricing will reward you. eBay will over-reward those affiliates sending the best quality clicks, clicks that convert! Looking for another great affiliate network to check out? I recommend CPA Tank, a great network operated by my friend Vito. There’s no doubt about it: Facebook has taken the Internet by storm and your Facebook Fan Page is very important to your business. Why? Just like YouTube (check out my recent post about YouTube and SEO), your Facebook Fan Page will drive SEO value to your site via a real dofollow link. More importantly, however, SEO is now being driven by social media citations (after the Google caffeine release). Your Facebook Fan Page will drive numerous citations and social buzz to your website, especially after you accumulate a lot of fans. So, how exactly do you get a lot of fans? 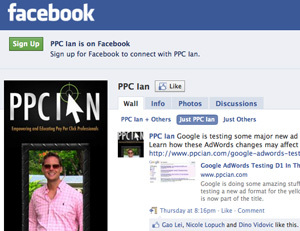 I’ve been working very hard on my PPC Ian Facebook Fan Page and now have nearly 750 fans! Today I’m going to share three tips on gaining Facebook Fan Page fans fast! 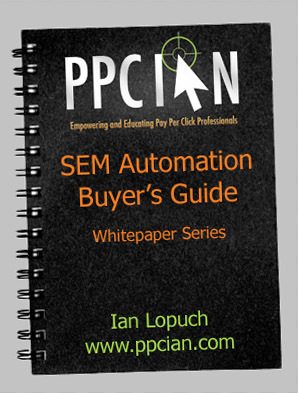 This just wouldn’t be PPC Ian if I didn’t start off with a tip that relies on paid traffic. There are two types of paid campaigns on Facebook: Campaigns that drive users to your website and campaigns that drive users to your Facebook Fan Page. The second type of campaign makes the most sense if you’re trying to drive likes because the ad itself will contain a like button in it and moreover the user will have the option to click like again once they land on your Facebook Fan Page. From my personal experience, you gain high quality followers (who are likely to read your updates and interact with your page) via this method for around $2 per follower (in the online marketing vertical at least). 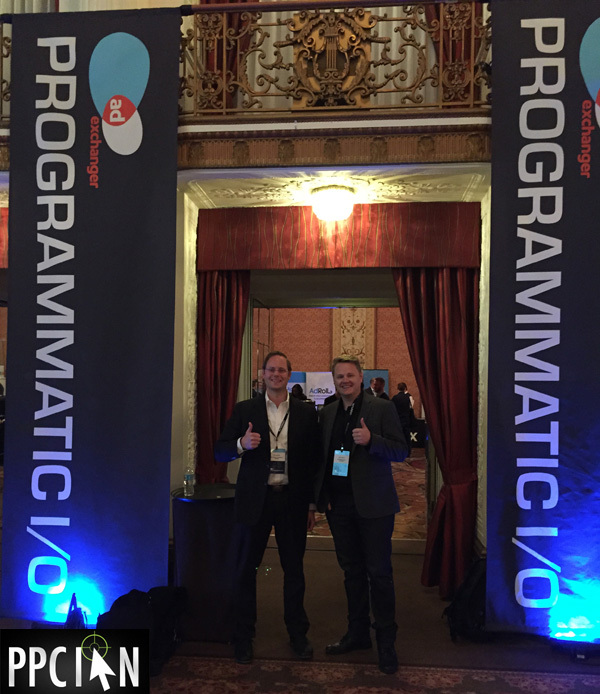 Want to learn more about Facebook Ads? I highly recommend buying Jonathan Volk’s Facebook Ads Guide. This is where I really learned my foundation. Moreover, I’m looking forward to writing a future post with some specific Facebook like campaign tips. Have you heard of Fiverr? It’s basically a site where you can get almost anything done for only $5. One thing that a lot of Fiverr sellers can help you with is gaining more Facebook fans. It’s quite simple: You pay them $5 and they will recommend your Facebook Fan Page to all their friends. Some Fiverr sellers have as many as 13,000 friends that they’ll recommend your page to. It really comes down here to the power of personal endorsement. When someone recommends you to their friends, you can often get tremendous results. Another benefit of Fiverr is the price. When only $5 is on the line, you only need 2.5 followers to break even with the results of a typical paid like campaign. That said, I’ll be honest here and would like to point two things out. First, results will vary by seller. Some sellers will deliver very little to no value. Others will totally hit the ball out of the park. It’s up to you to experiment with multiple sellers. Second, please keep in mind that followers you get via this method are less likely be be high quality followers that will interact with your page. But, you never know! I personally use this strategy to complement the paid strategy (but definitely not as a replacement). As my final tip today, I highly recommend spending a few hours and building a custom banner for your Facebook Fan Page. This is super easy. The maximum size of your profile image is 200×600. Leverage all that space and build an image that includes your logo, a picture of yourself, information about your social media profiles, and even some info that entices the user to like your page. If you’re going to so much effort to dive traffic to your Fan Page (especially via a paid campaign), it’s essential to have a professional looking page with a high like conversion rate. If you check out my personal Facebook Fan Page, you’ll see my 200×600 banner. As a bonus tip: You can even create a landing page on your Facebook Fan Page that further entices users to click the like button. I haven’t done this just yet because I really like my wall being the landing page. So, there you have it! Now, it’s time to go out there and get 1,000 or more fans!